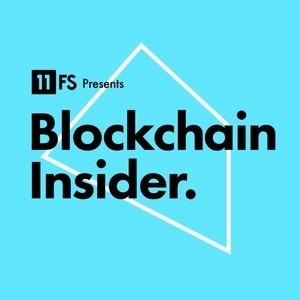 We found 10 episodes of Blockchain Insider by 11:FS with the tag “crypto”. We. Are. Here. Today we bring you: Google gets into consumer hardware keys, Bithump hacked and will the real galaxy digital please stand up. We. Are. Here. Today we bring you: Square ramp up crypto unit, the ‘real’ Bitcoin market and a failed ICO turns to eBay. We. Are. Here. Today we bring you: CBOE halt Bitcoin futures, Binance to the moon? And Deloitte puts ASX at checkmate. We. Are. Here. Today we bring you: BitGo exaggerate insurance coverage, tokenising equity and the owner of the Burj Khalifa plans an ICO. We. Are. Here. At the Omaha Blockchain summit without Simon and without Colin! Our special guest host for today’s episode of Blockchain insider, is the one and only Amber Baldet, CEO of Clovyr. We. Are. Here. Today we bring you: Brazilian Bank embrace crypto, a European exchange giant is jumping on the crypto bandwagon and XRP the STD...finally! We. Are. Here. Today we bring you: JP Morgan do a coin, JP Morgan do a coin and JP Morgan do a coin. We have some other stories too.